After finishing the setup phase the real-time action is started. 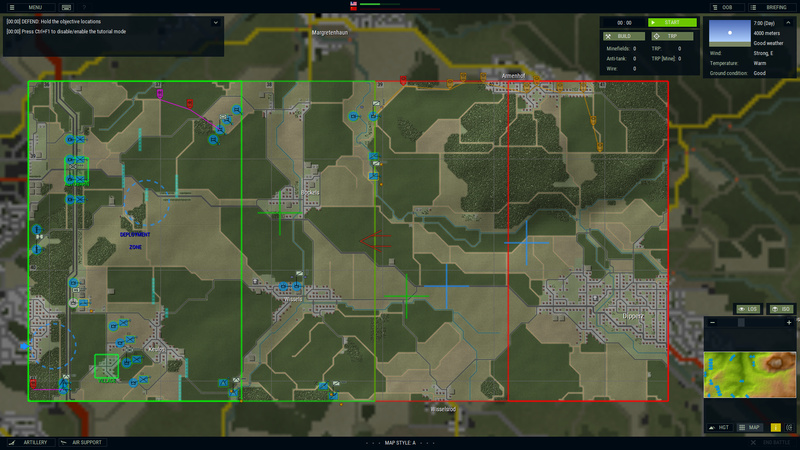 Armored Brigade scenarios have two different startup schemes. The first way is to generate a fresh skirmish in the Battle Generator wizard. 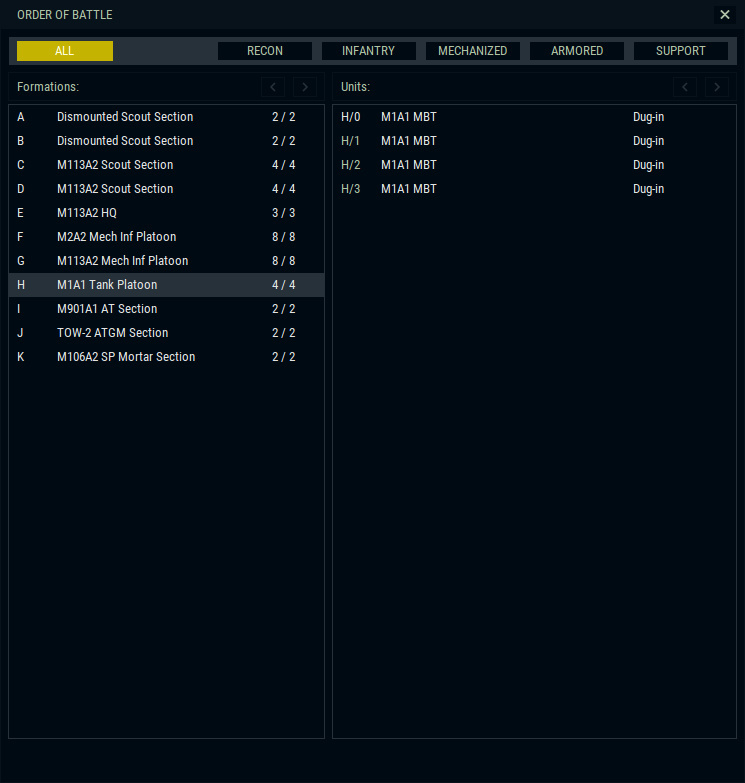 The player has an instant access to an unlimited number of battles. In this approach, the player is always free to place his units as he wishes. The second way is to load a pre-made scenario. In these scenarios the unit positions and some other variables can be optionally 'locked'. Both methods can include a 'player character' unit that represents the player on the battlefield. In the pre-made scenarios, the player can be locked to a role of a certain unit that cannot be changed. If used properly, this can create very interesting and hair-raising scenarios. The battle I'm showcasing is a 'pre-made' scenario. The unit positions are locked and the player is assigned to a HQ unit. It doesn't really matter here, because the user can create the exactly same situation straight out from the Battle Generator output, but I wanted the readers to be aware of the choices the game offers.